Invite all your favorite folks to your old country music show when you send them Banjo Invitations in advance. 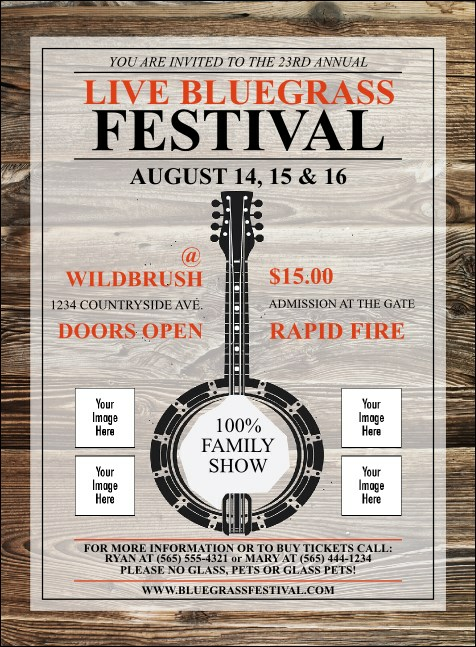 Put the spotlight on your sponsors for your next bluegrass performance when you upload as many as four of their logos right onto your Invitation templates that include a handsome banjo on an earthy, wooden background. Keep your toes tappin’ with TicketPrinting.com.